We are looking for people to join the Association of British Climbing Walls Training Trust Board of Trustees. 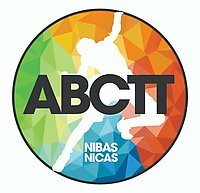 The ABCTT administer NICAS (the National Indoor Climbing Award Schemes). The ABCTT strengthened its board in 2016 with the appointment of four new trustees. With these appointments came a new set of experiences and skills. The Board has since recognised the need for additional skills (financial management/accounting, marketing, fundraising/commercial rights, and coaching qualifications) to support a number of areas in order to meet its strategic aims for growing the scheme and enhancing the candidate experience. Applicants will need to demonstrate empathy with the world of climbing and have a genuine interest in developing a clear strategy and a sound governance framework to aid the long term sustainable development of the charity.